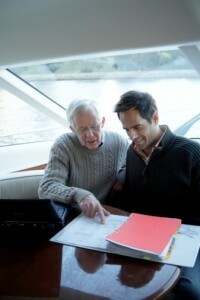 Life insurance claim denial is a common issue in NY insurance law. There are many possible reasons why a life insurance claim may be denied or considered less significant than expected. Life insurance companies often leave contractual loopholes in the fine print of policy documentation which can catch you off guard if you don’t know what to look for. Fortunately, the most common reasons for a denied life insurance claim can be avoided with the right preparation. Life insurance policies are based on proper documentation, both during the initial coverage process and claims processing. Both a claims form and an official certificate of death are necessary in order to file a valid claim. One common error people make while filing a claim is to provide the funeral director’s death certificate rather than an official government-issued certificate of death. Life insurance runs on a subscription basis, so even a single unpaid premium could lead to a lapse in coverage and policy expiration. If your loved one’s policy has expired due to unpaid premiums, you are no longer eligible to collect a payout on the policy in the event of their death. When filling out a life insurance application, it is essential to be completely honest. Any evidence of discrepancies between the information provided on the policy and other forms of documentation can result in a claim denial. Even if the discrepancy was completely unrelated to the death, you may still be ineligible to collect a payout on the policy. Misrepresented age, health habits, or even employment history are all examples of misinformation that can render a life insurance policy void. Suicide results in an automatic denial of your claim. In some cases, insurance providers will launch an investigation to rule out suicide even if it is not the apparent cause of death. In such cases, your claim may be delayed until the company determines the actual cause of death. Fraudulent claims, such as taking out a life insurance policy without someone’s permission, immediately result in denial if discovered. Other forms of life insurance fraud include taking out a policy on a person who does not exist and faking someone’s death. If a life insurance company discovers evidence of such fraud, there may be criminal penalties as well as a claim denial. Some life insurance policies have fine print exclusions that you may not know about until it is time to file a claim. From specific illnesses to types of accidents, your coverage may vary depending on what the insurance company has excluded. If you need to dispute an unjust life insurance claim denial, a NY insurance lawyer may be able to help you prove that your claim is legitimate according to policy standards. Contact the Hiller, PC NY insurance law team at 212-319-4000 for more information on how to challenge an unfair life insurance claim denial today.